B&W works well for this shadow shot. Terrific shadow showing almost the entire structure of the tree! My daily photo is here: https://www.allenfotowild.com/DailyPhoto/Daily-Photo-2014/i-w54FTs6/A. Please give me your opinion on colour vs BW. Love the shot and excellent pp. 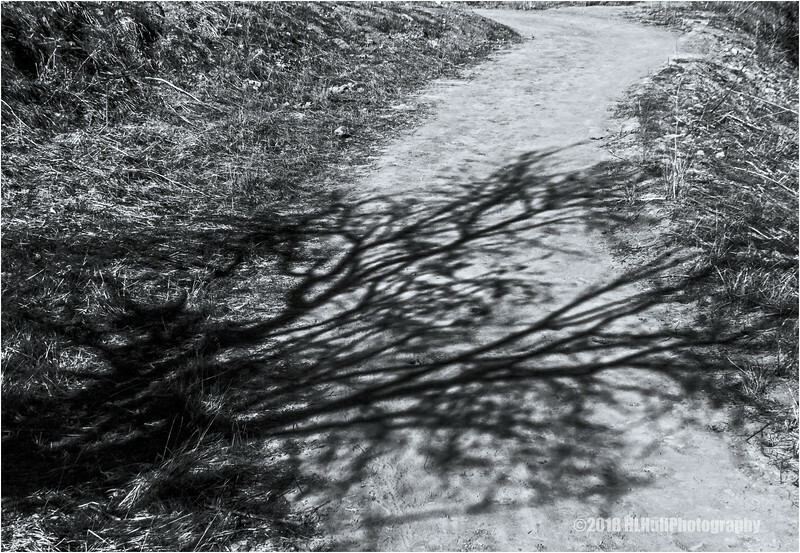 The trail takes you into the photograph and stops, then you come back to the tree shadow and wonder............ The composition definitely works.